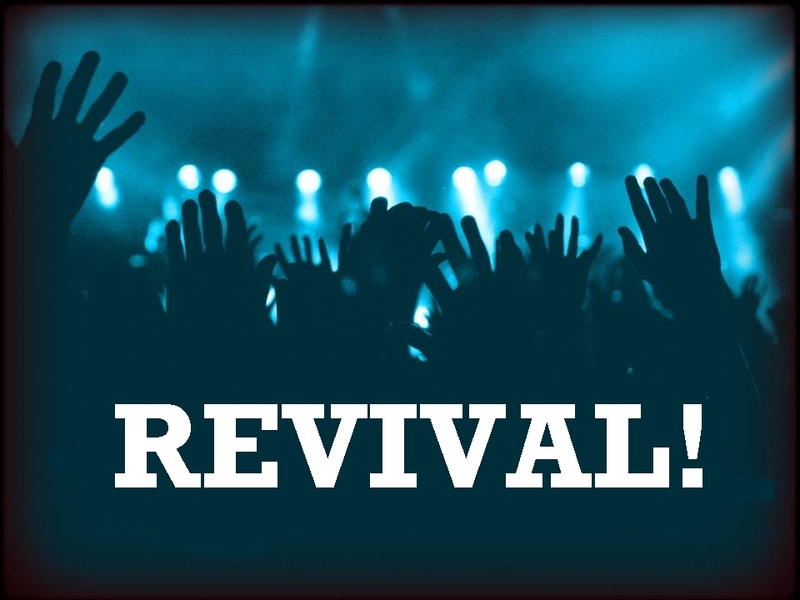 In a recent article from Charisma News, Pastor Chris Mathis tells us that “revival” has come to America’s shores. First up, I’m glad that there is an article about fulfilling the Great Commission. That’s exciting because the article goes onto talk about how revival seems to be occurring in various places throughout America. It is always wonderful when anyone comes to a saving knowledge of Jesus Christ so that they embrace salvation. However, I’d like to take a closer look at the above two paragraphs. Mathis makes a startling statement if you ask me. He says, “We are living in the greatest times the world has ever seen.” Really? I beg to differ. The greatest time this world has ever seen so far was during the life and times of Jesus – His birth, His life, His death, His resurrection, and His ascension. Without that, none of the revival occurring today would actually be occurring. If I had a time machine and could go forward or backward to any period in earth’s history, I would without equivocation go back to see with my own eyes and hear with my own ears, the words, the very life and actions of my Lord and Master, Jesus! After that, I might choose other places or time periods, but that would be my first choice. Let me stop. First of all, there is potential in every generation. It’s not as if God has been sitting there on His heavenly throne twiddling His thumbs, hoping beyond all hope that one day, “that” particular generation of individuals who possessed promise and potential would arrive on the scene finally allowing Him to do what He was apparently not able to accomplish in and through previous generations. God is either fully sovereign or He is not sovereign at all. It cannot be both ways! We seriously need to get over ourselves. God is not “on our side” as many seem to believe. We are either on God’s side or we stand against Him. Mathis references the Welsh Revival and the Azusa situation and then states that the times in which we live right now outweigh any other time throughout all of Church History. That is an extremely tragic statement to make but many will hear it and rejoice instead of seeing it for what it is; Dominionism. This is why Mathis’ article is so interesting. While he’s excited about the “revival” that appears to be occurring in various places throughout America, his ultimate interest is found not in the conversions themselves but in what he believes will be the end result of those conversion experiences: to bring heaven to Earth. The tragedy here is that while it gives people a reason or purpose to do what we are supposed to do (preach the gospel to all people of all nations), it rests on the fact that the results of preaching the gospel will be seen in “mass conversions,” which in turn will unify God’s purposes through more and more people on earth and ultimately bring about a heaven on earth situation. The more this is accomplished, the sooner Jesus can return. In some form or another, this is the theology behind people like Jonathan Cahn, Mark Biltz, Mark Taylor, Mike Thompson, Rick Joyner, Rick Warren, C. Peter Wagner, and a ton of other people who are recognized leaders within Christendom. While their emphasis and even descriptive language might change slightly from one person to the other, the overall theme remains the same. These people fully believe that all Christians need to be involved in “kingdom now” or “Dominionism” work in order to help usher in the Kingdom of God to this planet. Dominionism and Kingdom Now advocates all stand opposed to the more traditional tenets of end times theology. Some actually refer to those who continue to believe in a physical upcoming return of Jesus (or other aspects of the end times like the Tribulation, Millennial Kingdom, etc. ), as “legalists.” Folks like myself are seen as being part of the problem, blocking God from doing what He wants to do here on earth now. When I question the theology of people within the “signs and wonders” movement today, I am seen by many proponents from within that movement as the “enemy” of God because apparently, I’m not able to go “with the flow” of what God is said to be doing today. The modern “signs and wonders” movement, complete with all of its signs, wonders, and prophetic words, has essentially replaced God’s Word. The argument goes that God is infinite (true), all-knowing (true), all-powerful (true) and is involved in doing “new” things (not necessarily true, especially if those “new” things are opposed to revealed truth in His Word). Because those folks believe God is constantly doing new things, we need to get on board with God and keep up. In order to do that, we need to learn how God is speaking today and He isn’t necessarily speaking directly through His Word, though He still uses it to confirm things. Those of us who resist the “new” ways that God is working and speaking today are not only going to be left in the dust, but will actually be guilty of quenching the Holy Spirit of God. As I’ve stated though in this series, the goal is to confirm or verify that what God is apparently saying to us through this “anointed” person or that “prophet” over there. The only way that can be confirmed is by comparing what these folks are actually teaching. It is not an attempt to condemn them as people, but merely to learn whether or not what they are teaching is truth. I realize that because of the way many within the world think today, feelings are often the final arbiter of truth. This is political correctness and it has become the normative way that truth is defined in the world and has also made its way into the church. But there is nothing truthful about the way we feel too often. Eve went by the way she felt and look what happened (Genesis 3). She was completely innocent prior to that with absolutely no sin nature, unlike us now. Adam did the same thing. They both caved into the way they felt about something instead of simply resisting the Tempter in the knowledge that God had said “don’t eat of the fruit of the tree of knowledge of good and evil.” It was a command and even though Eve tried to some degree to present that truth to the Tempter, it was a paltry attempt and she got it wrong. But here we are because we think the Holy Spirit lives within us (He does if we are actually saved), then He will guide us into all truth. We discount our fallen, sinful natures that exist right alongside of our new natures deep within us. Feelings will lead us astray. God’s Word won’t, if we are willing to obey it. Christians need to stop focusing on things that cater to our fallen natures. Feelings or emotions – when used to determine truth – will fail more times than they might succeed. We must use His Word, not the way we feel about something. His Word will not fail. Rather than give heed to some person who believes they have been given apostolic authority or mantled with the title “prophet,” take what they teach and actually compare it to God’s Word. Ultimately, what we are talking about in the four parts of this series all come under the main heading of Dominionism (Dominion Theology). This particular brand of theology has – as you can imagine – several offshoots or incarnations. Whether people realize it or not, Dominionism has driven a wedge between Christians for a long time. In fact, its original roots can be seen from centuries ago. However, in modern times, Dominionism has a more recent incarnation with leaders dating back to the 1970s. It has grown in momentum and power and it seems that few churches and/or religious organizations have not been affected by it. What we’ve been talking about in this four specific articles are really only one branch of it. There seems to be a version for seemingly all areas of church and society. We’ll go into them briefly beginning with our next article. Entry filed under: christianity, Cultural Marxism, Emotional virtue, Life in America, Political Correctness, Politically Correct, Politics, Religious - Christian - End Times, Religious - Christian - Prophecy, Religious - Christian - Theology, salvation. Tags: azusa revival, charisma, charisma news, chris mathis, dominion theology, dominionism, great commission, kingdom now, revival, The New Apostolic Reformation (NAR), welsh revival.